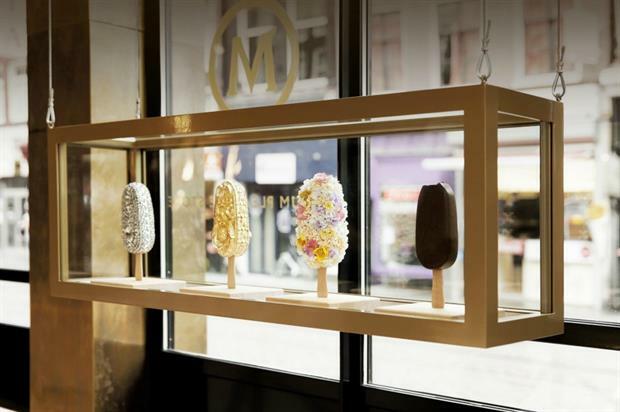 Ice cream brand Magnum has teamed up with Jeremy Scott, creative director of Moschino, to launch a Magnum X Moschino Pleasure Store pop-up in London. Guests to the Magnum X Moschino pop-up, which launches on 29 June and runs to 10 September, will be able to personalise their own Magnum creations. The brand will be encouraging visitors to treat themselves to a double or single dipped Magnum and to try out the dipping bar, which offers more than 20 toppings, including black lava sea salt and blackberry crunch. The Pleasure Store will serve bespoke ice creams, as well as one curated by Jeremy Scott from Moschino. Scott will also be displaying his range of Magnum X Moschino bags at the pop-up. Throughout the summer, guests will also be able to enjoy a range of events taking place at the pop-up. With Scott on board, the pop-up has been designed in bold Moschino style. Moschino has teamed up with Magnum for a wider 'Release the Beast' campaign, which celebrates the Magnum Double and encourages fans of the brand to unleash their 'Dare to go Double' attitude. The Magnum X Moschino Pleasure Store will be located in London's Seven Dials. More: In May, Häagen-Dazs unveiled its 'My Extraordinary Life' pop-up, in collaboration with Bompas & Parr. Earlier this month, Alpro created a garden oasis to launch its new ice cream range.